1. Display the Page Layout tab of the ribbon. 2. Click the small icon at the lower-right corner of the Page Setup group. 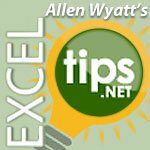 Excel displays the Page Setup dialog box. 3. Click on the Options button. Excel displays the printer’s Properties dialog box. i know what you mean (print second sheet to the right of page because the first page only take half a sheet) and the directions above (multiple sheet on single page) is not what you are looking for. I too am looking to do this, only way i think to do it is with a macro or manually have to place the column you want be placed to the right of the “first page”. Doesn’t do what I want. It prints 2 pages, but still in one column, just tiny. I want it to print the 2nd page without reduction, side-by-side with the first page on one sheet. I tried setting print option to over-then-down instead of down-then-over, but it made no difference. This doesn't work for me. It still only prints ONE page, just smaller.